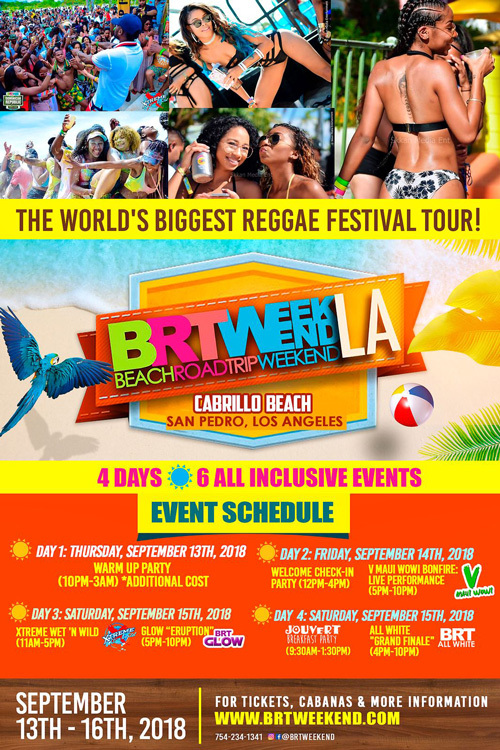 Last weekend, July 13-15, the world’s largest Caribbean festival tour, Beach Road Trip (BRT), found itself again on a historic landmark in Atlantic City—Chicken Bone Beach. This was a monumental undertaking for HM Events Group, the organizers of BRT Weekend, and the city officials of Atlantic City. No one could have imagine a beach which was once designated to only people of Color would host over 10,000 reggae and Soca music lovers. Many Black entertainment hall-of-famers performed at venues on the Atlantic City boardwalk and even hung out on Chicken Bone Beach, including James Brown, Sammy Davis Jr, and BB King. Back then, the guests of those shows were doing dances like “The Twist”, “The Mash”, and “The Hitchhike” And now, over 70 years later, Chicken Bone Beach embraces a new culture—Dancehall and Soca, where Machel Montano, Ding Dong, Vincent Ross, with thousands of patrons doing dances such as the “The Flairy”, “The Fling”, and “The Lebeh Lebeh”. BRT Weekend Atlantic City was nothing more than electrifying with 6 themed parties and nightly after-hour parties. The Welcome Party on Friday night had performances from Ding Dong and Vincent Ross. 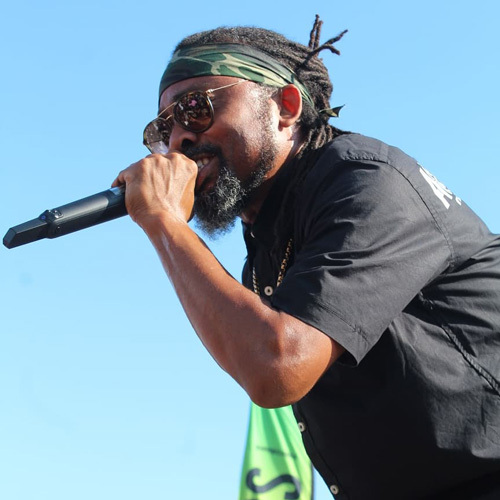 Saturday morning, “Wet-n-Wild” was just that with headliner Machel Montano. Saturday night, Glow, had the Chicken Bone Beach was lit with neon lights and a firework show. Jouvert, also known as the Brake-fast party, reached its peak with thousands of people enjoying a full-spread Caribbean breakfast, paint, powder, and water. Sunday evening was breath-taking. Hans Mullings Sr., CEO of HM Events Group announced at the grand finale “All White” party that the Atlantic City has been the biggest BRT in its 8 year history. The DJs over the weekend, including Coppershot, Chromatic, Stone Love, DJ Blazer, Platinum Kids, DJ Nico, the Dream Team, Massive B, and Cali B, provided nothing but their best skills to BRT Weekenders. There were no complaints from business owners, government officials, or residents of Atlantic City. BRT Weekend enhanced tourism and income into the city limits. Hotels on the Boardwalk, and as far as 20 minutes out of the city were sold out. 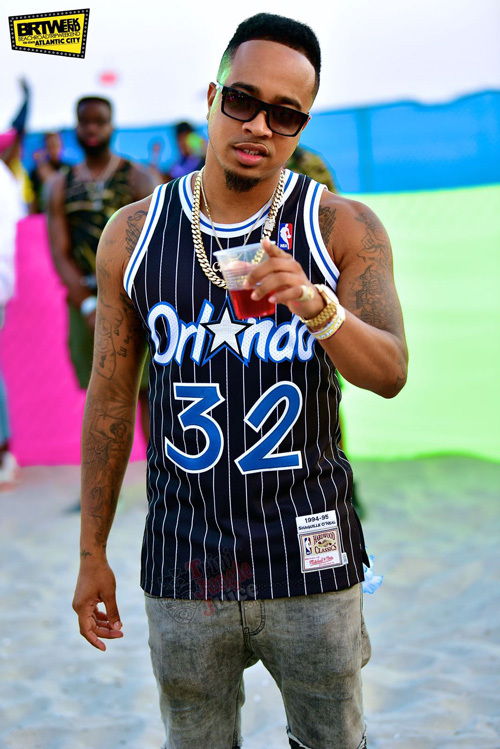 “Patrons were on good behavior, definitely one of the best events on our beach”, according to a representative of the Atlantic City Mayor’s Office. . The casinos were also happy to welcome BRT Weekend. The redemption center, which was housed in the Caesar’s Palace, lines wrapped hallways from Thursday evening to Sunday evening. 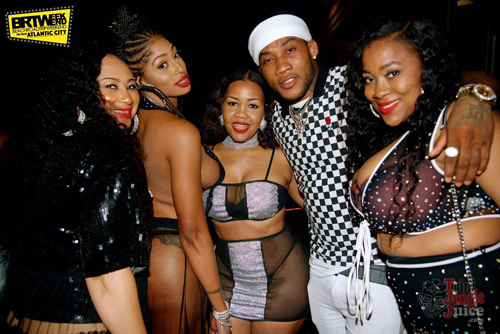 Sponsors included VP Records, SKKAN Media Entertainment, OnStage TV, Tempo Networks, and Trini Jungle Juice. The next destination for BRT Weekend, is San Pedro, Los Angeles, California, September 13- 16. For more information visit www.brtweekend.com.